Before you read any further, I’d like to point you to the Bullettes on Television this past January! Spring is almost here! I hope this email finds you well! I’m writing to let you know of some of the upcoming goodies you will find in the jazz world this week! 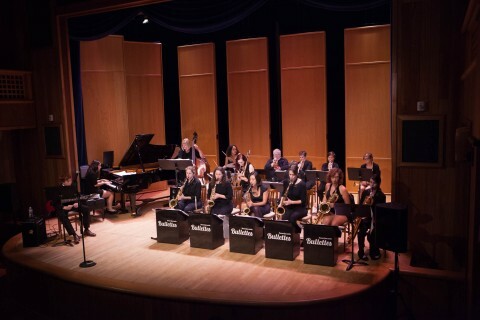 It’s Washington Women in Jazz Festival time again folks! If you’d like some fodder as to why we do what we do, there is a nice article from Shannon Barnett in Australia. Time to get fired up! Bang! Pow! Pow! Just kidding, no pun intended!! (get it, Shannon Gunn?? oh no….) Oh the stories I’m sure we could all collectively tell… It’s all good, folks, though, we love you, our supporters! Today! (Sorry for the late notice) The Young Artist Competition is now a Young Artist Showcase! Come out and see the upcoming talent, including (but not limited to) Ingrid Winkler (bari) and Angel Bethea (drums) who have both played with the Bullettes! Starts at 2 pm, at THEARC at 1901 Mississippi Avenue SE, $10/$5 students. Sunday 3/13 – WWJF themed DC Jazz Jam at the Brixton featuring Amy Bormet (p), Lydia Lewis (d), Nicole Saphos (b), and Janine Gilbert-Carter (v). 6:30 – 9:30, 901 U St. NW, WDC, free, many thanks to Will Stevens for keeping this going for all these years! Sunday 3/13 – WWJF Kick Off Jazz Loft at Union Arts featuring the 10 pm set with Charmaine Michelle (tru), Nicole Saphos (b), Amy Bormet (p), and Isabel DeLeon (d). 7 – 11 pm, 411 New York Ave NE, $15 suggested donation. The Jazz Loft will also feature Ethan Philion’s Double Stop at 8 pm and Herb Scott Ensemble at 9 pm, so come on out! Tuesday 3/15 – Leigh Pilzer and Friends at Allyworld in Takoma Park featuring Sherrie Maricle (d), Jackie Warren (p), Amy Shook (b), and Jen Krupa (t)! 7014 Westmoreland Ave, Takoma Park, tix are $20 – get em’ while they’re hot! Wednesday 3/16 – Amy K Bormet’s Quintet wsg Fay Victor at the Hill Center! Featuring Savannah Harris (d), Karine Chapdelaine (b), Sarah Hughes (as). 921 Pennsylvania Ave SE, $15 adv/$20 door. I have also created a Meetup around this event to start with dinner at Zaytinya’s followed by the show – feel free to join us! Whew! Kudos and Congrats to Amy K Bormet and Ariel Shelton and their interns who put this together! Wowsers! Please note this is a list of WWJF events, but there are a lot of other great shows going on this week as well! Check out Bertrand Uberall‘s email list, or the papers to see what else is going on. I have a heart for this festival and am very thankful to be able to be involved! And if you have nothing to do tonight, I’m playing at Okra’s in Manassas at 9 pm – 12 am with my Firebird Organ Quartet! Ha ha! Let the gigs continue! Come out and support these ladies! Come say hi, or at least hit reply and let me know what you’re doing! I look forward to seeing your beautiful faces! Photo credit Suzette Niess (thank you!) at Castleton Theatre House thanks to Burnett Thompson Music!